A Comprehensive Van Hire & Car Hire Service in London offering lowest price, flexible, fast efficient, value for money service. So for Van Hire London Call us on 020 8989 3300 or 020 7275 0101. Get great deals on London van rental and van hire throughout London from 1st City Van Hire. Conveniently situated just outside the Congestion Charge Zone in Hackney 1st City Van Hire, East London and just off the A406 in South Woodford we can provide van hire at highly competitive rates. Whether you require long or short term van hire you can be assured of our personal attention at all times. Our dedicated professional staff will respond quickly to your hire request. We have a large fleet of vehicles at your disposal so you can find the one to suit your needs. To help you choose, use the helpful hints provided in our car and van hire Fleet info. Looking for Van Hire in London - Van Rental in London? 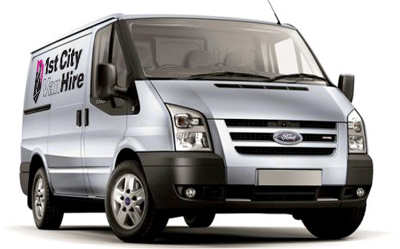 We provide commercial van hire in London to both local businesses and the general public. 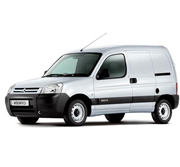 We have a large range of rental vans for hire and you are sure to be able to find exactly what you need. 1st City Van Hire are one of the cheapest Self Drive companies in Hackney, North / East London. A family run business and have been established in Hackney North / East London and specialise in self drive Van Hire. Book online and choose from a variety of vans for hire in London. When I was looking for fast, cheap van hire in London, 1st city van hire were perfect. Got a van same day and the cheapest around. Got a great deal on van hire from 1st City. Will definatelty be hiring again! Booked my van hire online in minutes. It was fast, cheap and easy. I will always book my van hire through 1st City Van hire. A Comprehensive Van Hire & Car Hire Service in London offering lowest price, flexible, fast efficient, value for money service. So for Van Hire London Call us on 020 8989 3300 or 020 7275 0101. Cheap van hire in Hackney London from 1st City Van Rental. Our dedicated professional staff will respond quickly to your hire request. We have a large fleet of vehicles at your disposal so you can find the one to suit your needs. To help you choose, use the helpful hints provided in our car and van Fleet info links. So for Van Hire London Call us on 020 8989 3300 or 020 7275 0101.